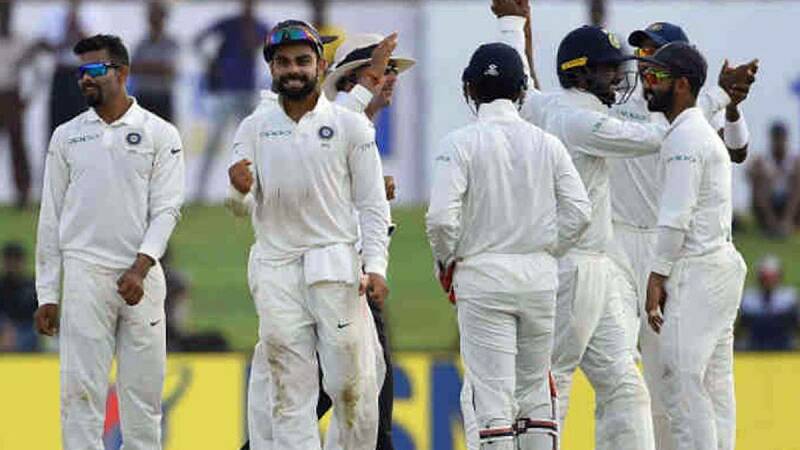 Cape Town : Good news for team India fans is that their team will retain number one Test ranking spot even if the results do not go in their favour in the South Africa tour that begins from Friday. South Africa is currently 13 points behind Team India and in a scenario of a whitewash, they will reach 118 points which would be equivalent to Team India's point but not enough to take them to number one spot. If SA wins all three Test matches against India, then India will be on 118.47 points, while South Africa will be on 117.53; round figure on the points table for which would be 118 points each. On the other side of the coin, if India win all the three Tests of the series, then they will move to 128 points while South Africa will slip to 107 points. So, with points table working in favour of team India, most of the fans would be looking to see Virat Kohli returning for India after his lavish wedding and two receptions in New Delhi and Mumbai.